A combination of trends is sparking heightened interest in generational issues. For one thing, people are simply living longer due to advances in medicine and preventive health. It’s more common today, as opposed to 50 years ago, to see people live into their 90s and some who face financial difficulty may have to face moving back in with their children. The problem is compounded by the fact that a number of Baby Boomers have waited until well after age 30 to start their families. Many now bear the cost of caring for elderly parents, while simultaneously emptying their bank accounts to cover their children’s college tuition. The whole family is affected by an aging relative’s distress over such changes as declining health, a move to a nursing home, or moving in with their children. The problem is that many people try to resolve these dilemmas without first talking about them to hear the needs of everyone involved. Thus, a family may feel obligated to bring Grandpa into the home after his heart attack, without first asking him if he would prefer assisted living or a retirement community instead. Studies show that most older people prefer not to reside with their children, but would rather live independently. Families need to discuss candidly the potential problems of creating a multi-generational household, before bringing an elderly loved one into the home. Conflicts typically arise in multigenerational households because the adult children feel they must assume a parental role with their live–in mother or father. Adult children may become sources of emotional, financial and even physical support for their parents, but this is not the same as raising them. All elderly people should be treated with respect.Children should remember to regard their parents as individuals, not just people who reared them. They should also recognize that their parents are coping with declining faculties, the deaths of old friends and relatives, and other losses in their lives. The many challenges and changes in life we face as we age, such as death of a partner or friends, health problems, stopping work, having less money – can lead to depression. However, depression is not a normal or necessary part of aging, and there are many steps you can take to overcome the symptoms, no matter how old you are and what challenges you face. Older people, grew up in a time when mental illness was highly stigmatized and misunderstood, and as such may have been brought up not to see a doctor unless they have a physical complaint. Sometimes the first sign of depression can be constant worry about having a physical illness, even when your doctor cannot find anything wrong with you. When you are depressed , reaching out for help can sometimes take more strength and energy than you’ve got, and this can be even more difficult for a senior — especially when they don’t think of depression as an illness, or are too proud to ask for help for fear of becoming a burden to their children. If an elderly person you care about is depressed, you can make a difference by offering emotional support. It is important to make sure that your elderly family member or friend gets an accurate diagnosis and appropriate treatment. Help your loved one find appropriate support, and offer to accompany him or her to appointments. Take an interest in your elderly neighbors. Social isolation of the elderly, who may have no family living nearby and may be desperate for company (but are too proud to actively accept it) is very much a feature of life today. Make time to pop in for a chat if you know an elderly person living alone. Being the sole provider or caregiver to an elderly family member can be very rewarding, but it also can be very stressful. 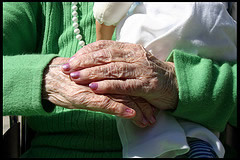 In today’s busy world it is women who often sacrifice their own physical and emotional needs to meet the competing demands of work, family and elder care.Research has shown that 40-70% of family caregivers of older adults have symptoms of depression, and 25-50% of these caregivers meet the criteria of major depression. According to Johns Hopkins University experts Caregivers are often so busy caring for their loved one that they often neglect their own well-being. Take care of your health. See your doctor regularly. Improve your diet. Get enough sleep. Seek emotional support. Join a support group or talk with family, friends or a therapist about how you feel. Take time out. Socializing with friends, reading, meditating, listening to music -can help relieve stress and provide distraction and perspective. If you are a caregiver for someone with a disabling condition such as Alzheimer’s.You may be feeling overwhelmed.The Alzheimers Association has put together a Caregiver Stress Test.Don’t put your own health at risk,do the test, and then if you need to get the help you need. Your parents need you and your siblings to step up and take care of them, a little or a lot. To make the right things happen , you will all need to work together. And yet your siblings may have very different ideas of what’s best for mom and dad. They may be completely uninterested in helping, leaving you with the responsibility. Or they may take charge and not allow you to help, or criticize whatever help you do give. Will you and your siblings be able to reach an understanding and work together, or will the challenges you face tear you apart? How will you decide on the best care for your parents without conflict, guilt or anger? Who will make the major decisions,on medical or financial matters when your parents are no longer capable? Who will assume caregiving responsibility, how can you share this responsibility? How will you deal with unequal effort and power struggles? Who will make the decision regarding division and disposal of assets and avoid hurt feelings and jealousy? How will you deal with unresolved childhood rivalries? Most of us are busy living our lives, raising our families working juggling so many balls. Not all families will be in conflict over what’s best for mom or dad at this time in their life, but even those who want the same outcome will face challenges. If your family members are at odds, consider hiring a geriatric-care manager, a mediator who specializes in the elderly, or a family therapist who can help you negotiate path through the challenges ahead. Memory loss that disrupts daily life is not a typical part of aging. It may be a symptom of Alzheimer’s, a fatal brain disease that causes a slow decline in memory, thinking and reasoning skills. Every individual may experience one or more of these signs in different degrees. If you notice any of them, please see a doctor. What’s a typical age-related change? Occasionally needing help to use the settings on a microwave or to record a television show. What’s a typical age-related change? Getting confused about the day of the week but figuring it out later. What’s a typical age-related change? Misplacing things from time to time, such as a pair of glasses or the remote control. What’s a typical age-related change? Sometimes feeling weary of work, family and social obligations. Reproduced with permission Copyright © 2009 Alzheimer’s Association®. All rights reserved. SeniorsBC.ca This website, SeniorsBC, provides information about government programs and services for older adults. The goal is to provide the citizens of B.C. with one place to go to find all the information they need to plan for and live a healthy, active aging lifestyle.